A collection of cute red dresses to wear to weddings. Sometimes, it’s easier to shop by color! Here’s a collection of red dresses from our partners mainly selected for wedding guest attire. However, if they suit you feel free to consider them for bridesmaid dresses, parties and festive life events too! These cute red dresses are in every shadeof red! Some of our favorites are these burgundy dresses, cherry red, and coral colors. We also offer guidelines on which red dresses are ok to wear to weddings, and red wedding guest outfit ideas ! 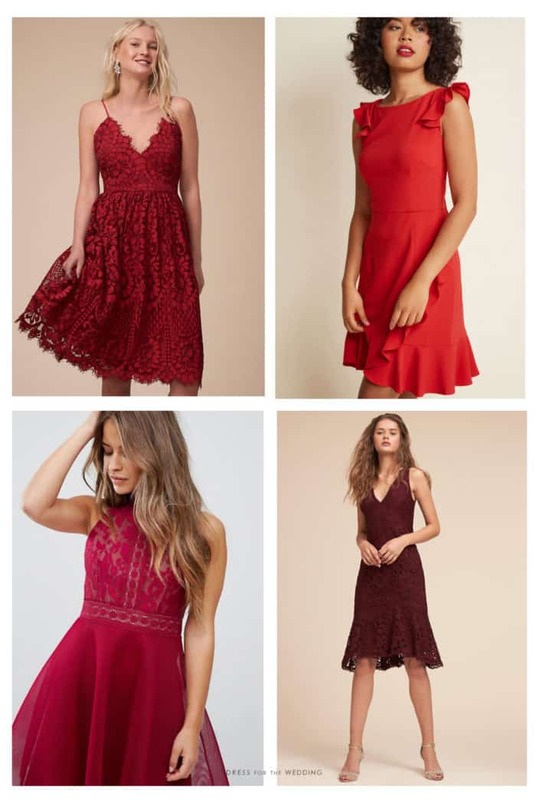 If you’re in a wedding and looking for red dresses for the wedding party, see all the specific picks we have for Red Bridesmaid Dresses and Red Mother of the Bride Dresses and Red Wedding Outfit Ideas.